I wanted to swatch A England Princess Tears today, but boy did I have a hard time capturing it, it seems that the Princess doesn't like to be photographed! It's a unique color, but my pictures mainly show the silvery-grey side. Princess actually has a lot of lilac in it as well, and flashes lilac. 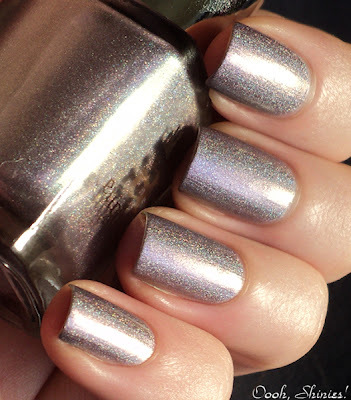 On top of that, it's a holographic polish, the strongest holo I've seen so far in A England polish. 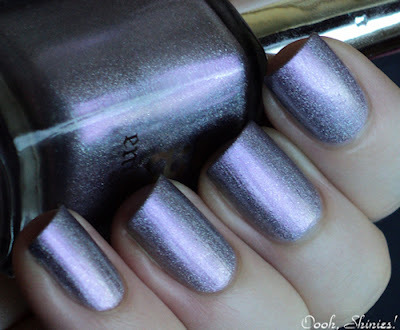 The swatches are with 3 thin coats, no base- and top coat. 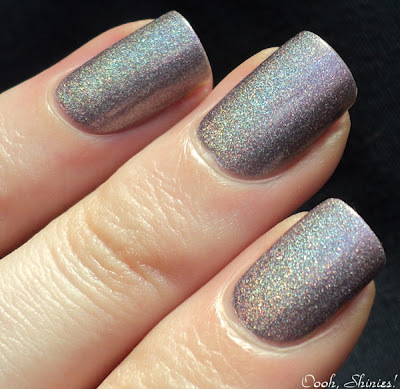 I'll try to swatch this pretty polish again sometime, and hopefully I'll have more luck with showing the lilac and holo better then! The application and drying time was great, just like any other A England polish.